Home Columns Anantha Narayan Who am I? Crotchety old uncles and aunts in Tamil households have a strange obsession. They pop up at all the wrong functions and ask all kinds of right questions to the wrong persons. One legendary query that has given many young generations the jitters is, a�?Yenna yaarunu theriyuda?a�? Translated that means a�?Dude, I know you dona��t give a fig about me. But let me embarrass you by asking you to name mea��although theoretically speaking, you dona��t stand a chance as the last time you saw me, you were in your nappy!a�? I dona��t know about you, but every time someone asks me their name, I go blank. No amount of panic hitting of the a�?recall memorya�� button seems to help. The farthest Ia��ve gotten so far is remembering the first letter. I used to think that I had Alzheimera��s and the hypochondriac in me was secretly relishing the prospect of chewing some bitter new tablets. 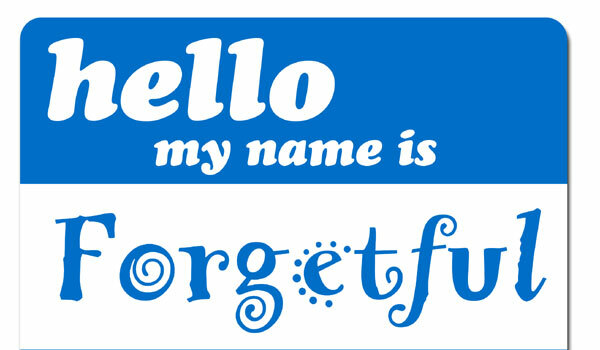 But apparently, forgetting names is a not that rare a disease. Ita��s as commonplace as the common cold. And the technical term for it is a�?Nominal Aphasiaa��. Aphasia is a�?speechlessnessa�� and nominal aphasia is an apt way of describing how tongue-tied you feel while recollecting a name. Ita��s a very solvable problem if we take the effort to understand how the brain works. Essentially, the brain stores three types of memories: instant, short term and long term. Names are short term memories and they are filed in the long term folder only if they are associated with some other memory. Let me explain. Suppose you meet someone named Rahul, chances are youa��re likely to forget it as ita��s not a�?memorablea�� enough. Because three other namesakes (Rahul Gandhi, Rahul Dravid and Rahul Bose) have already occupied some precious real estate in the inner labyrinths of the long term memory folder. To make space for another Rahul, you need a prefix or suffix that generates a visual in your head. In the olden days, the prefix used to be a�?thina��, a�?fata��, a�?shorta��, a�?talla��, a�?darka��, a�?faira�� or any other appropriately inappropriate trait. It really worked as ita��s impossible to forget someone called a�?Fat Rahula�� or a�?Rude Rahula��. All we need to do is to learn from our forefathers and apply the right name marker. That way, the next time some pesky relative poses that infamous question, you can jog your memory instantly and run away with the honours.